You’ve all been very patient and I hope the wait was worth it (blame all the work at Uni). Finally the next patten has been finished and is ready to make. 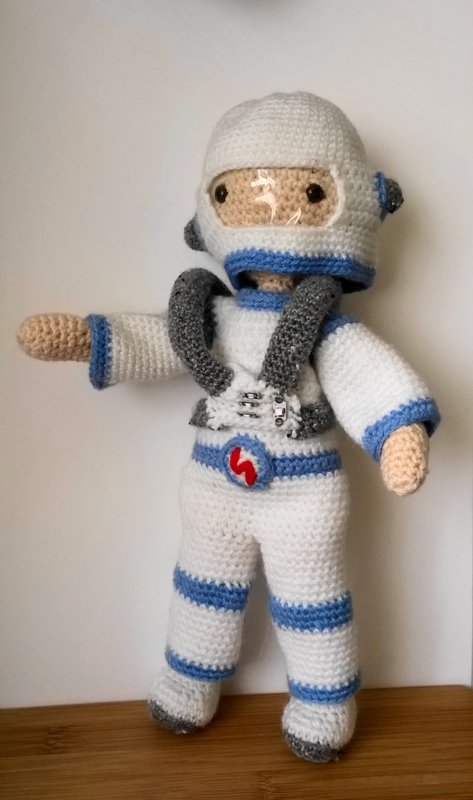 The astronaut pattern has a jump suit, made with a few rows, but mostly rounds in single crochet (double crochet to us Brits). It has a zip at the back, buttons wouldn’t do for an astronaut. The boots are worked in BLO, giving the soles a ridged effect similar to the ones used on the moon. The helmet has a plastic covering to keep oxygen in. But most important, the front panel has working LED lights. Of course, when you’re playing on the dark side of the moon you need some lights to see your way. I buy my electronics from Kitronic, a UK company. They’re easy to find on line, but Maplins are starting to sell sew-able electronics too (although expensive from them). If you’re stuck please email me and I’ll see if I can help. Johan Carpner www.johancarpner.se originally trained and worked as a graphic designer before the birth of his son helped guide him towards his current style. He describes his inspiration as “wilderness in nature”, the tangle of plants growing and the eventual beauty that grows from the tangled mess – Bringing order into chaos. His lamps create a magical sense of looking up, out of the forrest, I can almost imagine the reflections on walls and floors as the twisting of the stems moves you from home to the forrest. Nina Jobs seems to have an incredible ability to create a 3D look with 2D imagery. She works with a variety of skilled professions to create products loved by both architects, interior designers and consumers. My favourite product has to be the carafe. The glass ball shaped lid fits under the carafe to create a whole new way of looking at the product. My final designer of the three, Angel Chang, integrates clothing with electronics and intelligent dyes. Her thermochromatic dyes that she weaves into fabric brings new life and colour when worn or breathed upon. I’ve been looking at adding electronics to textiles for some time, and am currently working on adding an MP3 player to a hoodie (just waiting for some parts to arrive and I can put it together) but Angel’s work takes e-textiles to a whole new style. 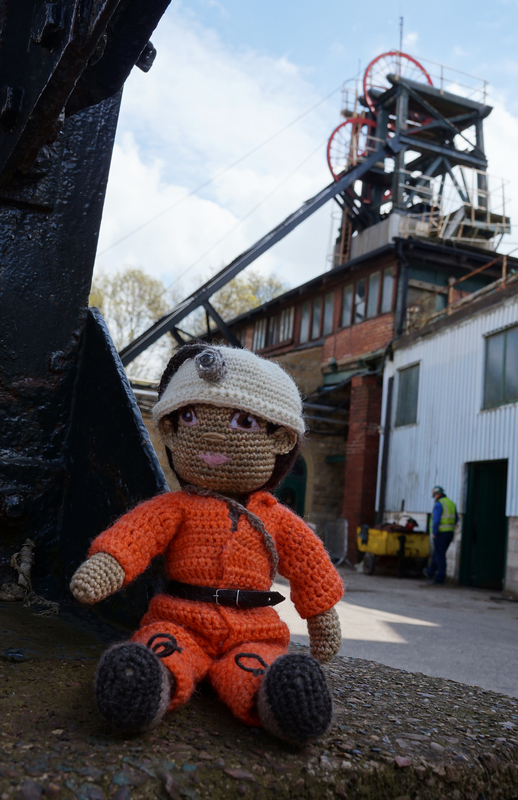 Several people have managed the music in a hoodie project, but she does it with a style that is attractive to a whole new consumer, not just the nerdy geek! Hope you enjoy these three designers.